Before my trip, I assumed Britain was far more secular than Christian America. Since England was roughly 800 years older than young pup America, I believed it had gone through its heated religious adolescence centuries earlier. And now, while the US was going through its own religious fervor, the UK’s had long since cooled into a detached secularism. And my trip seemed to confirm this. God, religion, or spirituality never entered into my conversations with Londoners. And though I came across many majestic cathedrals in the London megalopolis, all were centuries old. And most were crumbling. So I still don’t know why Christian apocalyptic A&O sells so well in the mostly godless UK. I may need to follow-up with another month-long vacation—er, I mean fact-finding mission. 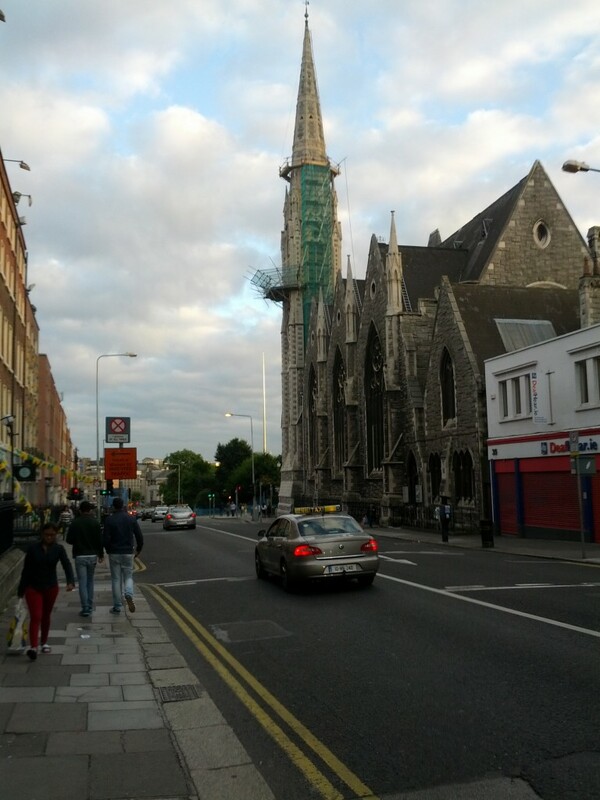 For me, this picture (which I snapped in Dublin) captures the state of religion in the British Isles: An old steeple in disrepair, against the backdrop of a shiny futuristic spire piercing the heavens.